Star Wars Weekends is approaching and you know what that means? The return of the Darth Vader cupcake... er... should I say revenge. Either way I've had this tasty treat and it is one Disney must do while you're there during the event. Disney Parks Blog put together this little ditty about how the Vader cupcake shows every desert who their daddy is, so to speak. My only gripe is that Darth's Lightsaber looks more pink than Sith red. What's up with that? 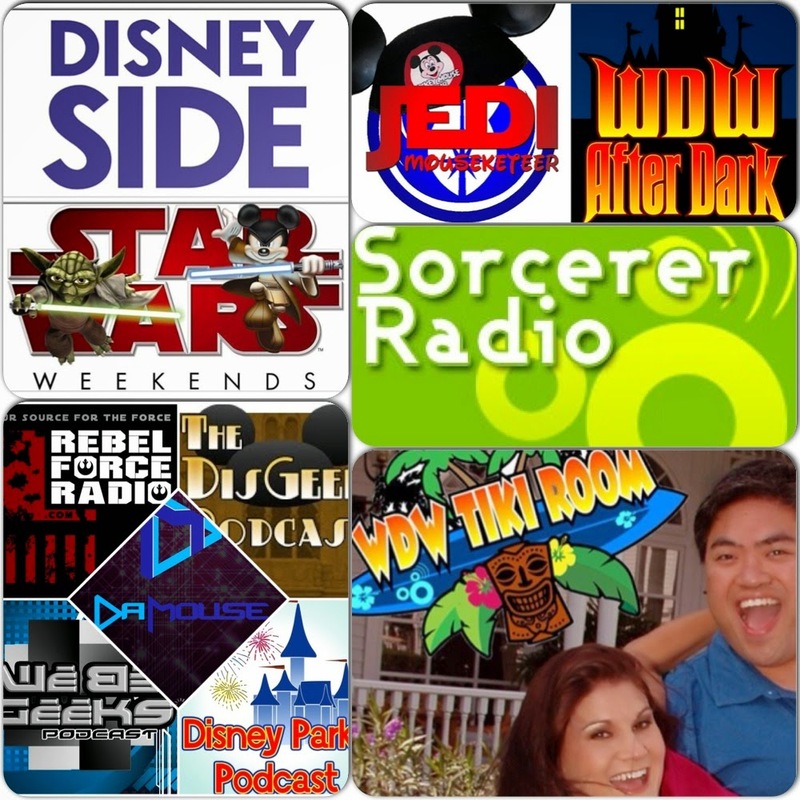 Not only will the Sorcerer Radio Network be covering Star Wars Weekends but we are partnering up with RebelForce Radio and WeBeGeeks podcasts for a fan meet during the weekend of May 23 – 25 at Disney Hollywood Studios! This year's festivities have expanded to five weeks and has a new theme "Join the Rebellion" which ties in nicely to the new 'Star Wars Rebels' animated series set to debut this fall on Disney XD. Jedi Mouseketeer reports news, reviews and commentary regarding various aspects of Disney, Star Wars, Marvel and more. The staff of Jedi Mouseketeer has also covered various conventions and contributes celebrity interviews for various media outlets. For more information please visit: www.JediMouseketeer.com. WDW After Dark is a one-of-a-kind Disney show, that pushes the limits and pulls no punches. This show, hosted by Jeff Davis, Aljon Go and Kristen Hoetzel, is a live weekly webcast featuring guest interviews, video features, comedy bits, listener call-ins and candid round table discussion.The show completely uncensored. Learn more at www.WDWAfterDark.com. If you are looking to virtually relive your recent Disney trip or dream of your next one, then Sorcerer Radio is the place for you. Sorcerer Radio is the fan-run, award-winning internet radio station that has been entertaining Disney fans for a decade! With many weeks worth of Walt Disney World park music and attraction audio, as well as Disneyland and Disney Cruise Line you can easily be transported to your favorite vacation destination anytime, while at home or at work. Sorcerer Radio stands out from the pack in our innovative programming and personalities, providing fans with DJ hosted shows every weekday morning providing a balance of Disney discussion and music. Sorcerer Radio plays a wide variety audio from the Disney universe. We also have FREE APPS for your iPhone, iPad and Droid so you can listen just about anywhere! Check out the award winning Editor's Pick on Live365, Sorcerer Radio at SRsounds.com, All Disney music, all day long!